Are You Planning A Kenya Safari To Buffalo Springs? 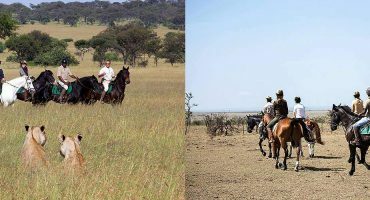 Scroll Down..
Buffalo Springs National Reserve is an alternate choice for guests who desire a discerning and unfettered safari trip in northern Kenya’s bush country. As one of the several hidden landscapes, the reserve offers a serene setting where you escape into a vast landscape of remarkable flora and fauna. Unique features of the reserve include lava terraces, rolling grasslands, doum palms, forests, scrub brush, Ewaso Nyiro River and springs for which the reserve is named. The reserve is part of a larger ecosystem that includes Samburu National Reserve to the north and Shaba National Reserve to the northeast. With so much open protected land available, wildlife traverse safely between the reserves, including rare northern species of reticulated giraffes, vulturine guinea fowls and Grevy’s zebras, all of which are unique to the region. These beautiful animals are joined by other rare species, including Somali ostriches, beisa oryx and gerenuks. 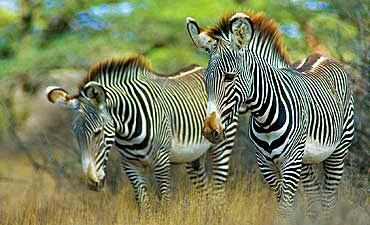 You also see wildlife that are present in many of Kenya’s other protected areas. 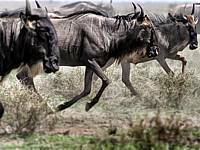 Foragers and grazers include elephants, hippos, olive baboons, buffalos, Grant’s gazelles, to name a few. Your AfricanMecca guide also helps you locate the well-hidden hunters, such as leopards, lions, cheetahs and Nile crocodiles. You may even have a chance to see African wild dogs. For our bird-watching guests, Buffalo Springs is a mecca of avi-fauna with more than 450 species recorded that includes birds that are found in northern bush country and riverine forests. The lesser kestrels and Taita falcons are globally threatened species that thrive under the protection of the reserve. Other vulnerable species include great egrets, martial eagles, African darters and yellow-billed ox-peckers. Common species include bee-eaters, yellow-billed hornbills, lilac-breasted rollers, grey-headed kingfishers and many more. For an adventurous tour of Buffalo Springs Reserve, explore the land, animals and people with a game drive. 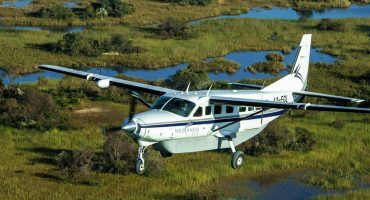 Travel across vast distances with an expert guide to locate diverse wildlife. 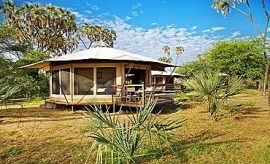 You may even witness a lion or cheetah kill, protective elephant mother fend off crocodiles on the beach banks of the Ewaso Nyiro River and the playful banter of gazelles on the savannah. AfricanMecca also recommends that you plan a guided nature and birding walk so that you can discover the small and delicate details of the reserve while uncovering the hidden smaller denizens that peer from bushes, trees and rocks. Along the way, you are accompanied by members of the local Samburu communities. The Samburu are generously personable and happy to share their traditions and beliefs, and you may visit their villages for a complete immersion into their ancient culture. 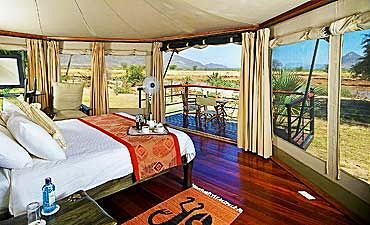 Ashnil Samburu Camp and Samburu Simba Lodge are the two main accommodations. Both of these lodgings not only give you access to Buffalo Springs, but also the sister reserve -- Samburu Reserve. Buffalo Springs offers something for every guest, from expedition travelers seeking excitement and adventure to the more introverted guests who prefer to study the smallest details of micro-ecology. Buffalo Springs offers an authentic setting for your adventure-filled tour. 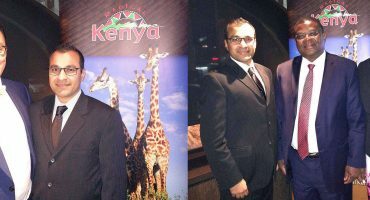 It warm climate offers a comfortable ambience so you can enjoy the immense beauty of the landscape, wildlife and culture. When visiting Buffalo Springs National Reserve, we recommend combining your safari with a visit to Amboseli, Masai Mara, Nakuru and Naivasha Great Rift Valley Lakes. You may optionally extend out to other wilderness areas of Meru or Tsavo ending with a beach vacation and Swahili cultural tour in the exotic spice island of Zanzibar or Lamu, or even Mombasa. 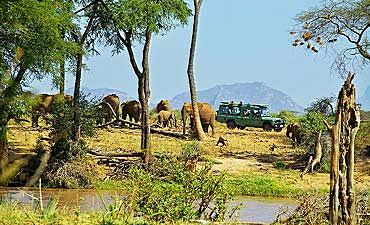 ARE YOU PLANNING AN AFRICAN SAFARI TO BUFFALO SPRINGS IN KENYA? HAVE YOU VISITED BUFFALO SPRINGS FOR AN AFRICA SAFARI IN KENYA?